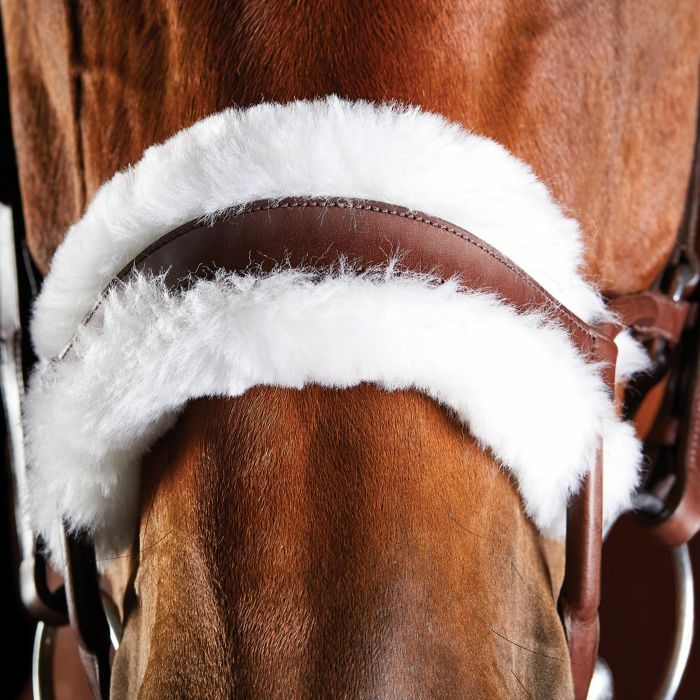 The Collegiate ComFiTec Sheepskin Bridle is made from high quality European leather. It has an anatomically shaped head piece which provides added comfort by distributing even pressure across the poll. 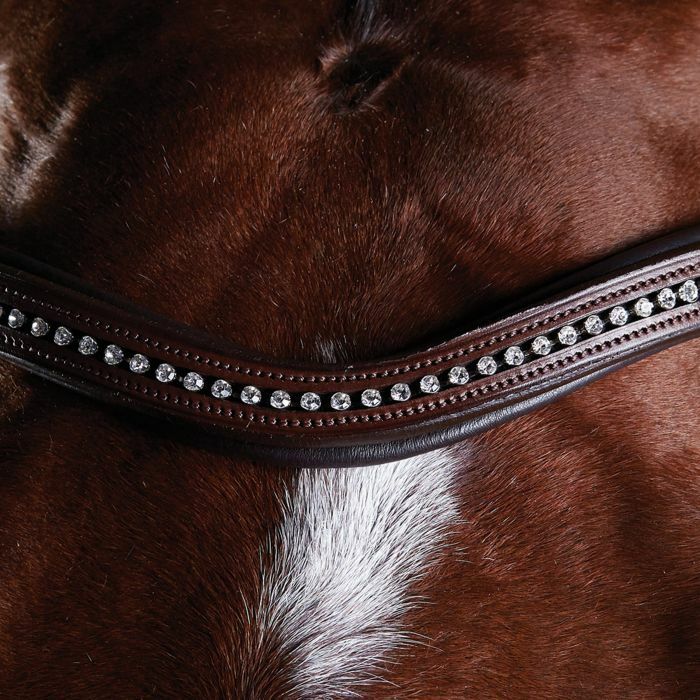 With shaped padding around the horse's ear it allows for maximum freedom and comfort. 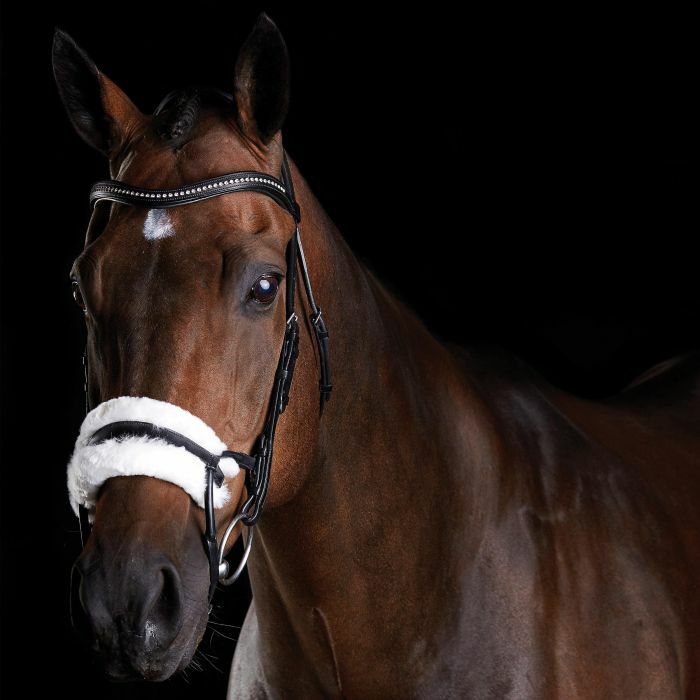 The Collegiate ComFiTec Sheepskin Bridle is made from high quality European leather. It has an anatomically shaped head piece which provides added comfort by distributing even pressure across the poll. 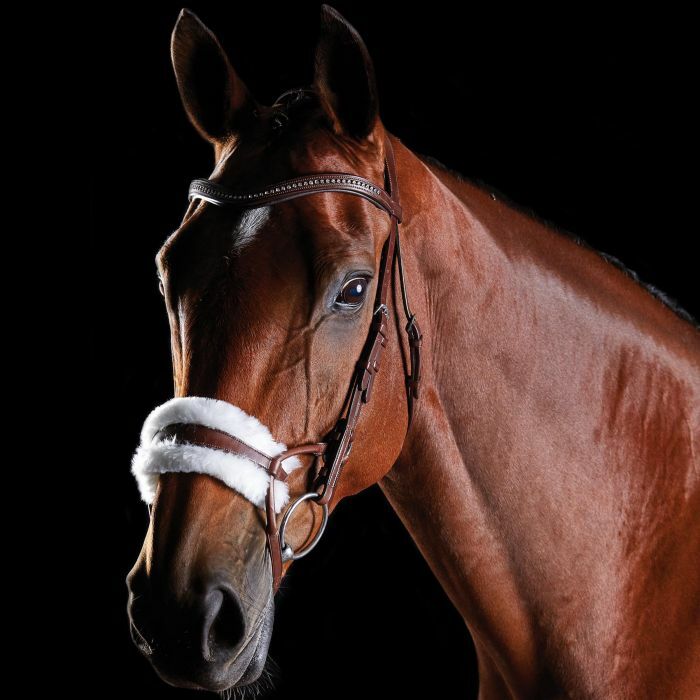 With shaped padding around the horse's ear it allows for maximum freedom and comfort., while the ergonomically designed noseband alleviates pressure on the upper jaw and molar teeth. The cheek strap and padded cheek ring alleviate the pressure of facial nerves with a removable sheepskin noseband for extra comfort. This style is not FEI or USEF approved due to the fleece noseband. The sheepskin can however be removed for competition use. Now available in Cob, Full and Warm blood. Made from high quality European leather. Anatomically shaped headpiece for even pressure distribution across the poll for comfort. Shaped padding around the ears. Double padding over poll area minimises pressure and shaped padding around the horses ears allows for maximum freedom and comfort. Ergonomically designed noseband that is shaped to alleviate pressure of the upper jaw and molar teeth. Cheek strap and padded cheek ring alleviates pressure of facial nerves for comfort.